A commemoration of Mind Rush's favorite celebration (that would be Valentine's) with the first of three Love Chakkars this week. First, unsolicited advice for incognito. I am effin sick of my parents' lack of respect for other people's privacy. Today I was out all day and I come home and go to my room and it is effin clean, mom went through all my sh*t and then put them in the closets and cupboard in order. Yeh, "Incognito" kya mazaak hai??? Bewaakoof ladki!! Mein tumhaari Mummy hoon. I hacked into your account and noticed that you are destroying our family name by writing to this bekaar column? Hamaari izzat dhool mein milaa di. What will the Indian Association members think? All the other aunties' daughters are going to med school at Harvard and my daughter....(sob!) Your sister will never get a rishta, ever. Hum kissi ko muh nahi dikhaa sakte! What did I do wrong as a mother? Sob! OK, enough mazaak. 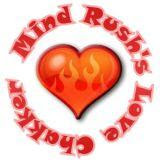 This is in fact Mind Rush, playing mind games with you, Incognito. Couldn't resist. Seriously, I empathize. I've been there myself. Number ek: Be an adult. Call a family meeting. Lay down the law, gently emphasizing the values of trust, respect and privacy. Number two: Respond with the same weapons the family is using, yaani ki, silence, mystery and intruige. Buy a $25 safe. Put your "questionable" belongings in it. Lock it. Leave it on your bed when you go out. Wah Mindrush.....This certainly seemed like professional advice. I am glad u didnt use ur standard disclaimer! we arranged to go watch no country for old men few weeks ago and because he lives right next to the arthouse cinemas.. and go i went over and his apartment is super cool..he's got guitars and amps all over and the apartment looks like a rockstar's loft.. he also plays guitar in some band..
he's a bit older than me.. but age is just a number..
anyhoo we hang out a lot but he never like asked me out formally.. we haven't even kissed but i totally think he wants me.. but i'm kinda like laid back.. i would totally date him if he asks me otherwise i am quite happily single.. we'll just hang out and stuff..
he wants to go fly to nearby city to see my favorite band live ! !and i am like suuuuree!! now how will i convince my parents to allow me.. or should i lie about going with female friends as usual.. they wouldn't allow me cuz he's like 27..
and a guy.. i have to somehow arrange the time so my parents wouldn't be home when he comes to pick me up.. but i am so excited ..
Hey m, just curious, what is your favourite band? Mind Rush probably lives for pecheeda maamlas like that. Ideas will be forthcoming soon that will be mature and sensible. On the other hand, if you asked me: I'd invent some story and make it happen. Why just last night I was shocked to hear from the Drift Memsaab that my boys would not be allowed to invite girls into their rooms. First, M, how old are you? Second, none of this blog material should be taken as professional advice. Third, what kind of a car does he drive? joules, well i can't tell you the band name only because they're not touring much these days and ppl will find out where i live if i tell their name..
INXS would mean you are 3. Nirvana would mean you are 7. If it was Joy Division, I'd be impressed. Can't think of anyone else. Hey also whats with your favorite Ritwick? Can't his new movie be a decent length - like under 3 hours - so I can take my kids to see it? just take your kids to watch anyway.. its gonna be a great movie i mean its directed by oscar nominated director..
plus some mvoies seem longer even when they're 1.5 hours long and some movies even tho are 3 hours you are entertained and gripped..
UFFFF for the love of god take your kids!! support quality cinema..
Driftji, your musical detective work has impressed me immensely. Between this blog and your musical knowledge you should quit your day job. yes okay so today i get a sms from this new boy asking if i wanted to have lunch together, i said ok.. so he picks me up and he's like what you got in mind and i said "no idea rly what you thinking?" and he's like lets go grab a gourmet burger and a six pack and go a beach for a picnic..
then we went and ordered our burgers and then went to BWS store and the owner was some desi guy and his name tag "Agni" and he and some customer (also desi) gave me an evil look. Probably cuz i'm a desi chick who looks underage with a white dude in an alcohol store at 1 pm. my "friend" was like "they never seen an ethnic girl walk into a booze store before?" LOL he is so funny! Sounds like your mom subscribes to the the "Track A Desi Teen" service. Check all gifted accessories for tracking devices. This is the problem with being desi....If your conscience is not watching your actions, then some random desi store-walla does it for you. When all else fails, your mom has a premonition and will thwart your plans. And finally there's always G-d almighty to answer to!